In conversation with my long-suffering wife, it’s come out that we have different ways of exploring. Devon, I believe, thinks in terms of trajectories: how we will get from Point A to Point B, while I tend to think in terms of the points themselves. No, it’s worse than that: I think I guide my travel entirely by imagined snapshots: my future self sends me picture postcards, and I have try to figure out how to get myself to the point in time and place in the picture. It happened again when we were charting out our flights home from Tanzania, facing the prospect of two back-to-back 10-plus hour legs. I felt some sort of deep visceral reaction, and a new image slowly came into focus: a small outdoor cafe looking out on an old-world European plaza ringed by tall, tilting buildings that were new when the earth was still flat. I saw myself sitting back at a little table shaded from the late afternoon sun by a red umbrella (yes, I remember the color of the umbrella) as I sipped a beer and nibbled frites. Maybe there was a street band playing – that part wasn’t clear. Honestly, I think I was picturing Brussels, since I’d never actually been out of the Schiphol airport, but I was sure that, if we planned a 24-hour layover on our way home through Amsterdam, I could make that picture come to life. Our flight landed about 7:00 this morning after the crazy overnight from Arusha via Dar es Salaam. Devon had booked us a lovely little hotel room overlooking the Herengracht (“Gentlemen’s Canal”) to keep us until our 9:30 departure tomorrow. 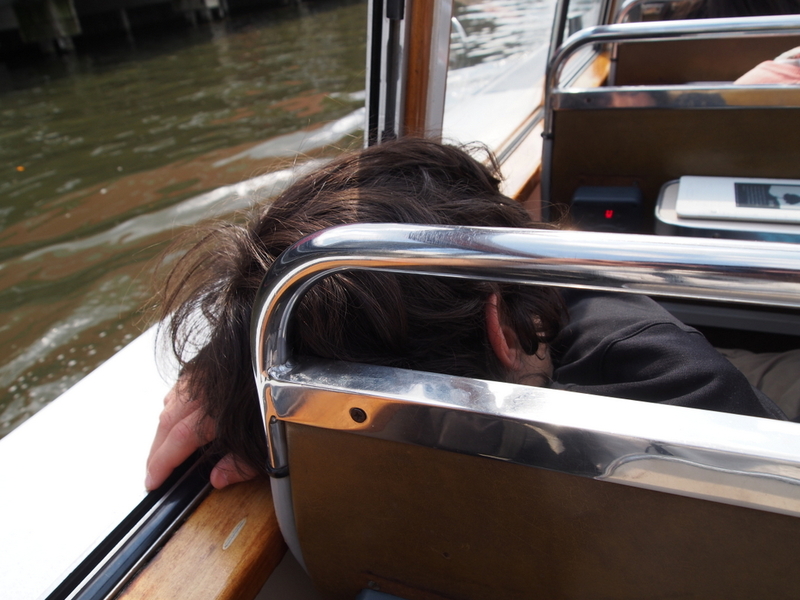 The room wouldn’t be ready until noon, so we dropped our bags off and let the kids nap on a canal tour boat to kill time, then Miranda and I dawdled away another two hours on foot finding the Rembrandt House and 17th Century Portuguese Synagogue. Thankfully, we managed to only get briefly lost on the fringes of the Red Light District; to enhance its family-friendliness, the city has helpful street signs indicating that certain areas may, um, not be suitable for younger pedestrians or easily-embarrassed teenagers traveling with their parents. It was great fun, but I still needed my moment. So once we’d gotten Jeremy ensconced in the room and Devon had had her nap, I dragged my mostly-willing wife and daughter out on foot in search of my snapshot. 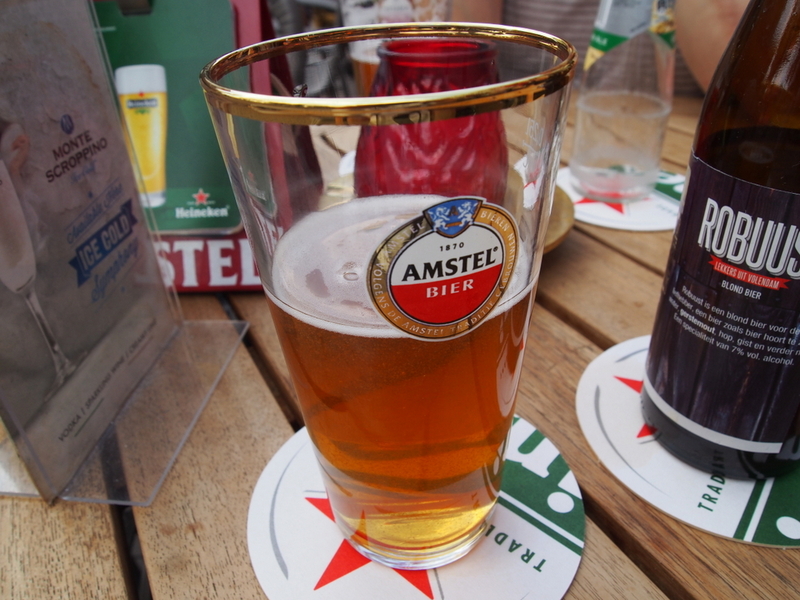 We found it at Café Tante Roosje, on the north edge of the Rembrandtplein, a triangular square (is that a thing?) 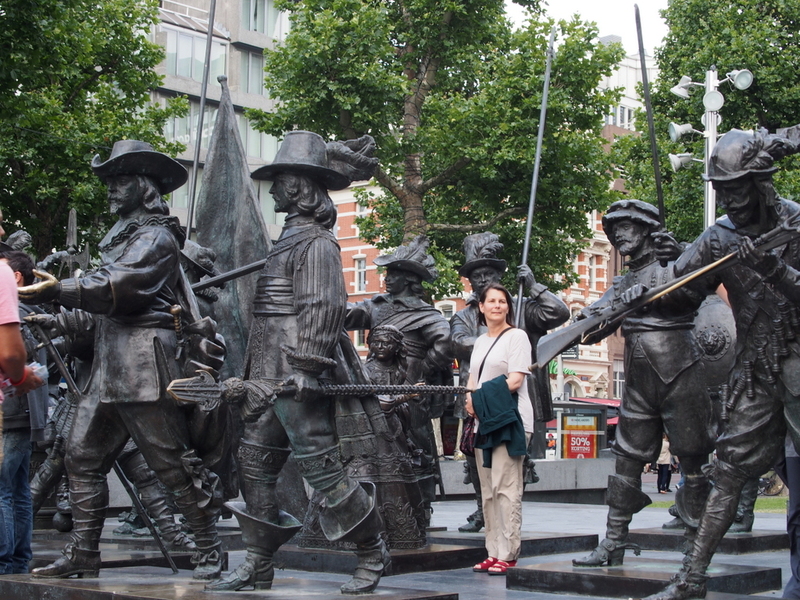 with life-sized cast sculptures of the figures from “The Night Watch”. 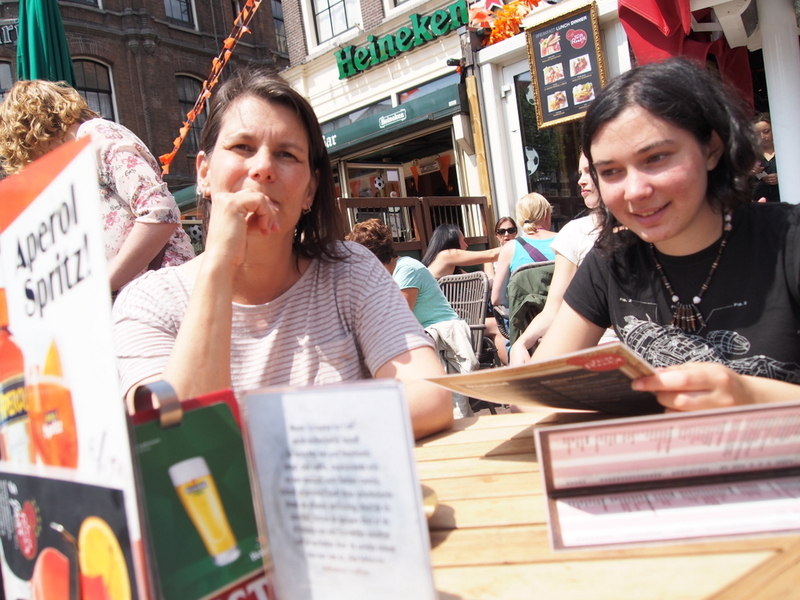 No red umbrella, but we had beer and frites and chicken satay while Miranda contented herself with ginger ale and a banana pancake – really a crepe – drizzled with dark chocolate syrup. Out on the curb, something between a mariachi and midwest polka band was playing jazz standards, including an impressive salsa-style rendition of “Blowing in the Wind”. Clearly, I wasn’t the only one having a moment. If I knew you were going to A’dam I would have given you my secret list of places to go. Eat here. Vlaams Friteshuis Vleminckx http://www.yelp.com/biz/vlaams-friteshuis-vleminckx-amsterdam I used to go here when I was going to high school nearby. 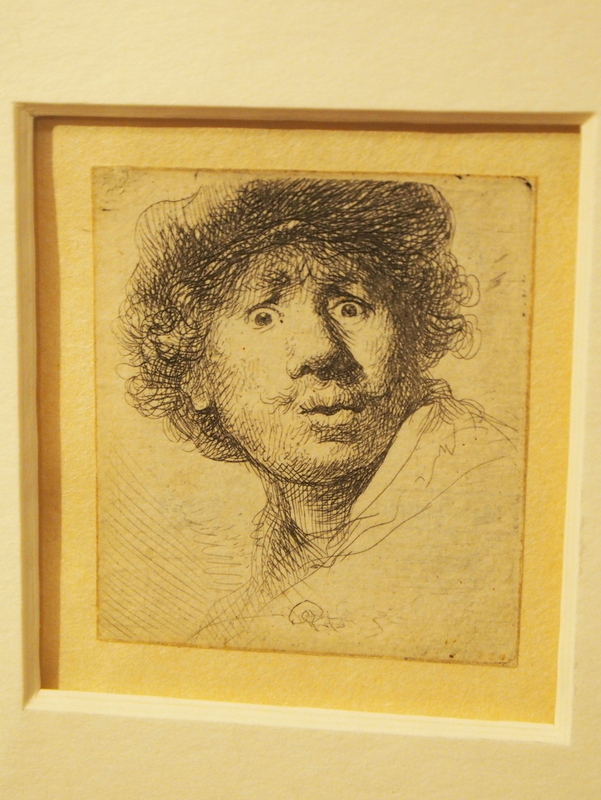 Alas – next time! And there will definitely be a “next time”. We had less than 24 hours in town, which were pretty much evenly divided between rambling the streets with kids, sleeping and eating frites.